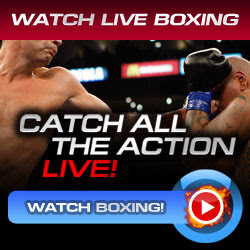 Devon Alexander won over Lucas Matthysse via Split Decision Victory in their 10 rounds bout at The Family Arena in St. Louis, Missouri in the light welterweight division. Lucas Matthysse was disappointed in the scorecards of the three judges as the decision goes to Alexander. Matthysse gave his best in the fight and thought he won it but it was the score in the end. The two judges scored 96-93 between Matthysse and Alexander, the last one scored 95-94 for Alexander which leads to a single point in winning the fight. Devon Alexander admitted that Matthysse was a very tough fighter and did not stop to pressured him in round-by-round. In round 4, Matthysse throws a good right straight and hit clearly in the face that sent Alexander down for the first time in his boxing career. Alexander was not hurt too much and able to continue to fight and recover later in that round. Lucas Matthysse loss another fight, it is the 2nd defeat he earned in his professional boxing career. The first one was the fight against Zab Judah and it was a split decision. Then for now, another split decision loss. A very disappointing bout for Matthysse. Lucas Matthysse has now a record of 28 wins with 2 loss and 26 by ko's victory. Devon Alexander was happy for his comeback fight against Matthysse coming from a loss to Timothy Bradley back in January this year 2011. He proved to his boxing fans and some critics that he was not a quitter or a refusing fighter. Great victorious win tonight for Devon Alexander as he stepped up in the ring with all his power and skill. Alexander has improved his record to 21 wins - 1 loss and 13 by knock out victories. Don't know what's next for both two guys Devon Alexander and Lucas Matthysse. Great fight!